Usually, we associate concerts of classical music with the evening hours, formal attire and in some cases even a glass of wine. Last Saturday showed us that the morning hours are not any less good a time for a musical production. 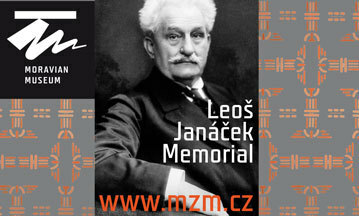 In the Crystal Room of the Old Town Hall, an hour before noon, a a performance of cello sonatas by Ludwig van Beethoven, Claude Debussy and Dmitri Shostakovich by the cellist Štěpán Filípek and the pianist Mark Pinzow took place. The concert was organised by the National Theatre Brno. 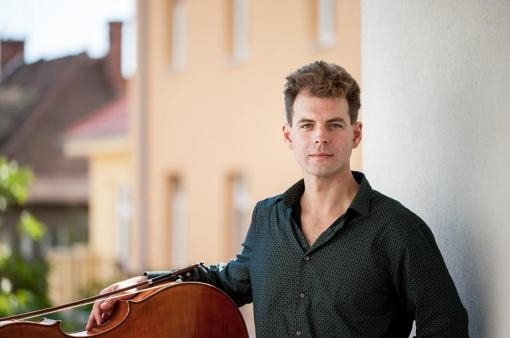 Regular attenders from the region of the concerts of Štěpán Filípek might have been perhaps somewhat surprised – this cellist is known mainly as an active promoter and progressive interpreter of contemporary music. Saturday’s programme, however, was made up only of works we might call classics. This fact did not bother anyone – the informal mood was made possible by the unusual concert time while the intimate space of the Crystal Lounge conversely called for some more traditional musical works. Despite the original conception of the programme, in which it was to start with Sonata in D Minor by Claude Debussy, the musicians decided instead for a chronological order of the works. While at first glance this may seem like a minor change, in terms of the programme this is a much more effective approach. The interpreters thus managed, at least partly, to introduce listeners to the long-term development of this musical form, the beginnings of which reach back as far as Antonio Vivaldi. The initial Sonata in A Major for cello and piano by Ludwig van Beethoven still stands on classical foundations, but the melodic and rhythmic equality of the two instruments is already a foretaste of the world of romanticism. It was clear already from the first bars that Filípek’s experience with contemporary music had found its way also into the interpretation of Beethoven’s sonata. Romantic and early romantic works are often interpreted with a distinctive strong rubato and even in a floating manner; Filípek’s factual, objective, unencumbered pathos and sometimes perhaps somewhat curt playing in this case was a welcome treat. This understanding was clear primarily in the long closing tones, in which musicians mostly find plenty of space for pretentious emotions overflowing into rubato. Fortunately, Filípek was not tempted to gild what is already gold and looked for expression and feeling where it can really be found, and in the musical phrases themselves. The pianist Mark Pinzow tried to achieve balanced pedalling and an ideal midpoint between rich sound, colour and clarity. Although he differed quite significantly in his approach from the cellist, there was a relatively strong organic link between them. This understanding was clear primarily in the long closing tones, in which musicians mostly find plenty of space for pretentious emotions overflowing into rubato. However in some moments it seemed as though they had swapped roles, and unfortunately this mostly happened in inappropriate moments. As an example there is the third movement of Beethoven’s sonata, in which Filípek’s cello was torn from its fragile exhalations by the sudden and overly violent entry of the piano - in the repetition Mark Pinzow chose a much more appropriate dynamic. Debussy’s Sonata in D Minor for cello and piano represented a significant change in style, which the interpreters managed not only to capture, but also above all to express. The interpretation was far more passionate and Filípek’s pizzicato drew attention with its bell-like tone and sharpness. The piano part accentuated rather the dreamier aspect of Debussy’s work. In both works the rhythmic interplay of both musicians should be stressed, demonstrating itself particularly in the precise entries from silence. Minor errors in the intonation of the cello were offset by the measured, variable, and particularly thought-out work with expression, dynamics and accents. Both works, however, were put in the shade by the performance of the Sonata in D Minor Op. 40 for Cello and Piano by Dmitri Shostakovich. While in the preceding works there were in places minor faults in intonation and rhythmic character, Shostakovich’s sonata was without doubt a wild ride from start to finish. Otherwise in its character it is closest to the kinds of works that make up Filípek’s interpretational daily bread. The sonata in D minor was written in a difficult period in the composer’s life and is full of tenderness, melancholy and drama as well as Shostakovich’s typical cynical humour. This emotional range not only requires a lot of technical skills, but also the maximum understanding of the structure itself and the musicians gave really attention to all these different moods in an intense interpretation that missed nothing. Particularly worthy of praise were Filípek’s successful and intonationally precise harmonics. Although morning concerts are not such a frequent cultural phenomenon, they undoubtedly have a certain magic. Štěpán Filípek and Mark Pinzow, in combination with a restrained programme, ideal space and above all a successful performance managed to evoke an intimate and despite that highly sophisticated atmosphere. They made classical music lovers happy around Saturday noon. And who wouldn’t want to have lunch at the weekend in the company of Beethoven, Debussy and Shostakovich?